Chattin’ Manc: City should prioritise quality over English core and what is BlueMoonRisingTV’s future? There’s a plain blue Hugo Boss shirt priced at £99.99 and an exact replica down the road at Primark for a tenner. Which one do you buy? The majority of sane people would go for the cheaper option. And in special cases where money is of no concern, the decision would rest on the value the buyer attaches to the brand and perhaps the quality and durability of the garment. Most would associate a piece of Hugo Boss clothing with a higher standard of quality, though the seasoned shopper will tell you that this is often not the case. Two shirts that look the same; same colour, same quality. You choose the one that costs less, right? And so we turn to the dastardly homegrown quota, a list that Manchester City have wasted money on trying to fill over the years and a list that tends to force clubs in England through the Hugo Boss doors. Premier League rules permit that in a maximum squad list of 25 players, eight must be homegrown. 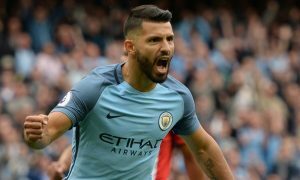 Of the £234m City have spent on homegrown players since the takeover, only Raheem Sterling (£49m), Gaël Clichy (£7m), Gareth Barry (£12m) and Craig Bellamy (£13m) – with a swift glance back on their respective impressions on the first team – can be said to represent genuine value for money. Joleon Lescott (£24m) and James Milner (£26m) certainly contributed but very few would argue against the fact that less money could’ve been spent on better goods. Patrick Roberts (£13m) is currently exactly 214 miles away from the first team in Glasgow, Jack Rodwell (£12m) was a permanent fixture on the injury table, the decision to sign Scott Sinclair (£8m) still baffles, Adam Johnson (£11m) is in jail and Fabian Delph (£9m), while a hit with supporters, hasn’t a cat in hell’s chance of displacing Fernandinho or Yaya Touré in the midfield. As for £50m John Stones, there is a lot of proving left to do, but there’s definitely promise. Filling the homegrown quota is a necessity, meaning a premium is attached to English talent, especially in inter-league transfers. English clubs literally have to have English players. They’re a desirable brand in this country and in many cases, clubs are forced to compromise quality for homegrown quantity. Manchester City are a club that have been particularly guilty of doing that in the past. In Sterling and Stones City have invested almost £100m but, importantly, both deals represent a shift in transfer strategy from merely filling the allowance to saturating it with potentially world-class personnel. Pep Guardiola announced his intentions to fortify his squad with more English proficiency in a recent press conference but must ensure, as with Sterling and Stones, that quality remains the priority. A self-confessed admirer of Mauricio Pochettino’s Spurs, Guardiola would be wise to cast his gaze towards North London. Harry Kane and Danny Rose would certainly improve the current squad, and though I was surprised by the overwhelmingly negative response from City Watch readers to reports that the club are looking at Dele Alli, I believe he’s a great prospect who would be worth spending money on. Alex Oxlade-Chamberlain of Arsenal is a addition many City fans would like to see us make to the squad and his versatility would be welcome. The Ox is believed to be looking for a way out of the Emirates this summer and a listen back to Henry Winter’s words regarding Guardiola’s appreciation of the midfielder at the start of the season suggests that move could happen. 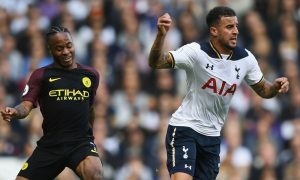 There’s an uneasy feeling about full-backs Kyle Walker and Ryan Bertrand who have had impressive campaigns but still remain prone to mistakes, while Ross Barkley and Jack Wilshere, for me, are no go’s. With regards to the permanently injury prone Wilshere in particular, City would be wasting time and money. Guardiola has rightfully taken issue with those hellbent on reminding him that the English game is different and deserving of more respect than La Liga and the Bundesliga, but in assembling a squad with a core of players born in the country of origin, the Catalan must acknowledge that exceptional English players are much harder to find than exceptional Spanish or German players. Pep touched on the importance of homegrown talent, explaining that “when I was Barcelona I had of players [from Spain] at Bayern Munich, I had a lot of players [from Germany],” but there’s a huge difference between mentally elite World Cup winning competitors and pretenders who go down with a whimper on the biggest stage every two years. It’s the reason City have spent so much on the City Football Academy, a facility the club believe will nurture the finest homegrown product for years to come. If the club are to do their shopping at Hugo Boss this summer, they must ensure they are getting what they pay for. The congregation bowing to their Messiah. This is an image that could well be plastered all over the walls of La Masia in the very near future. OK, so more Barcelona, but what do you expect? This sensational comeback was almost as good as our own at White Hart Lane in 2004 and here we see a panel of usually irritating individuals utterly consumed by the magic of the game. 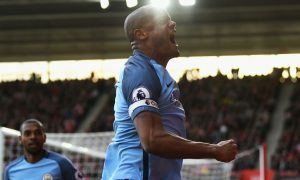 It was a masterpiece – one I nobly passed up on watching for the chance to watch City draw to Stoke. You guessed it. Barcelona. They reminded everyone that Champions League football, and football in general, can be fun, that it can intoxicate, that it can make a grown human interminably giddy. @davidreid_88 The ball went out of play after he hit the woodwork, under our rules, it has to stay in play mate. What a piece of outstanding shithousery. Just pay the man. “At the end of the day, it’s just for the love of the club.” The words of Bluemoonrising TV presenter Alex Hylton will hit home with the growing number of aspiring journalists and broadcasters dedicating hours upon hours of their time to their favourite football club for little financial reward. For those fans with other aspirations, perhaps ambitions as simple as accessing analytical and passionate City-related content in a sporting world saturated with the opinions of ex-United and Liverpool players, there’s a reason to appreciate what City’s biggest fan channel are trying to achieve. “I got involved with Bluemoonrising TV just because, like a lot of City fans, I was getting fed up with watching ex-United players talk about City on TV,” says Alex. From 1,800 YouTube subscribers two years ago to today’s total of almost 42,000 Bluemoonrising, described by FourFourTwo as an ‘analytical’ fan channel, certainly seems to be filling that gap. The success of the channel is in large part down to the endeavour of young producers Paul Walsh and Adam Keyworth who ran the project from a small office in Manchester. The pair now do their work for City TV. Since then the channel has benefited from the personality of Steven McInerney, Elliot Eastwick, Walter Smith and Hylton himself who is proud of what the channel has been able to achieve in such a short space of time. But with every project of this kind that requires monumental effort for little return comes obstacles. Content has suffered recently and supporters are asking about the future of the channel they turn to for their weekly fix of City content. “We hit a major stumbling block for the first time as a channel in December. Things out of our control didn’t go our way and we had to make a decision very quickly about how to keep the channel going and running properly. I think a lot of people don’t realise just how expensive and how time consuming running a fan channel is, or at least to the standard we want to achieve,” Alex explains. And if you want to see more from the lads at Bluemoonrising TV, please do subscribe below. City Twitter: Super Sané, rough at the Riverside and we’re off to Wembley!